Is There a Link Between Lead and Crime? No amount of lead exposure is safe. Chronic lead poisoning can lead to a long list of maladies, including anorexia, anemia, tremor, and gastrointestinal symptoms. Lead exposure is particularly bad for the developing brain, and in children can result in growth retardation, developmental delay, and mental retardation. In addition to the human toll, chronic lead exposure also has a large impact on the economy. It’s estimated that lead exposure costs Americans about $50 billion per year. Exposure to lead is preventable and intervention is cost-effective. For every dollar spent on reducing lead exposure in housing, it’s estimated that the return to society is between $17 and $220. Research shows that the effects of lead in early life can extend into later life. Most research has focused on how lead is associated with impaired intelligence; however, we’re also learning more about how lead is tied to conduct disorders and delinquency. Specifically, the “lead-crime hypothesis” suggests that lead exposure leads to crime. In 1943, Byers and Lord first shed light on the association between lead exposure and aggressive and violent behavior. Before this time, it was thought that the appropriate treatment for lead exposure resulted in no long-term adverse effects. However, Byers grew concerned that lead exposure might result in aggressive behavior after it came to his attention that two patients whom he had treated for lead exposure—patients who had ostensibly recovered—were attacking their teachers in school and participating in other aggressive behaviors. On further examination, Byers and Lord found that 19 of 20 “recovered” children displayed substantial behavioral and cognitive problems in school. Although Byers and Lord caught on to the link between lead and bad behavior early on, it wasn’t until the 1980s that scientists really started to examine how lead exposure could play a role in aggressive, violent, or delinquent behavior. Let’s take a look at a few studies that support the link between crime and lead levels. One common thread that runs through nearly all the studies examining the relationship is that these studies are retrospective in nature. In other words, they look to the past to determine relationships instead of the future (i.e., randomized controlled trials). This distinction makes complete sense because it’s unethical to expose research participants to lead. However, because these studies are retrospective, it’s difficult to establish a true causal relationship. Nevertheless, a growing body of research using data representing individuals, cities, counties, states, and countries elucidates how lead is tied to the crime. These findings have been replicated on several scales, which boosts their generalizability. With such results accruing, it’s difficult to ignore the reality that lead could lead to crime. In a 2016 Australian study, Taylor and co-authors examined crime rates for assault and fraud as a function of lead concentrations in air from between 15 and 24 years earlier. The reason for the time lag was that the researchers were looking for people who had committed crimes who had been exposed to lead during development. The researchers found a strong association between early lead exposure from the air and ensuing crime rates. Of note, the Taylor and colleagues controlled for things that could interfere with the associations, such as the number of people who completed high school and household income. Crime is influenced by many factors—poor schools, poor health care, poor nutrition, and exposure to other environmental toxins—and the researchers found that lead levels were the single most significant factor linked to the crime. Like the United States, Australia is one of the leading producers of lead in the world. From a historical perspective, lead has been found in paint, gasoline, and emissions from mining and smelting operations. Between 1932 and 2002—the year that lead was finally removed from gasoline in Australia—emissions from leaded gasoline exceeded 240,000 tons and dwarfed emissions from mining and smelting. Of note, in the United States, the lead was finally phased out of gasoline in 1996. "Measures need to be taken to reduce or eliminate extant sources of atmospheric lead pollution wherever practicable. Exposures from these sources have the potential to increase anti-social behaviors and impose unnecessary societal costs. These sources include existing mining and smelting operations in Australia and elsewhere, and lead petrol [gasoline] consumption in countries where it is still sold: Algeria, Iraq, and Yemen. In these countries, some 103 million people remain at risk from the use of lead petrol. There are also policy implications for communities that have been historically affected by the deposition of atmospheric lead in populated places such as homes, gardens, playgrounds and schools. These depositions present an ongoing risk because the half-life of environmental lead exceeds 700 years." Importantly, the preceding quotation points out that even if lead if lead emissions are cut, lead still stick to homes, playgrounds, and schools, where it can stay for hundreds of years. In a 2016 American study, Feigenbaum and Muller posed a timely research question: Whether the use of lead pipes in public waterworks was tied to an increase in later homicide levels. This research question is timely because, in 2015, high lead levels were detected in the water supply of Flint, Michigan, and this lead came from corrosion of lead pipes in the waterworks when the city switched its water supply in a cost-saving measure in 2014. To determine whether lead levels were linked to homicide, the researchers examined homicide rates between 1921 and 1936 among city dwellers. These rates apply to the first-generation of people who were raised on water supplied by lead pipes. Lead pipes were installed en masse toward the end of the nineteenth century. The researchers found that the use of lead service pipes was tied to a considerable increase in city-wide homicide rates. More specifically, there was a 24 percent increase in homicide rates in cities that used lead pipes. The researchers looked at kids who lived near busy roads and were born in the early 1990s. The soil near busy roads was contaminated with lead secondary to the use of leaded gasoline over the decades, and these kids had higher preschool levels of lead. The researchers compared these children with kids who lived on other roads and kids who lived on the same roads but years later when environmental levels of lead fell. Based on their findings, Aizer and Currie suggest that the switch from leaded to unleaded gasoline played a big role in the reduction of crime seen in the 1990s and 2000s. Finally, in a 2004 study, Stretesky and Lynch examined the association between lead levels in air and crime in 2772 U.S. counties. After controlling for several confounding factors, the researchers discovered that lead levels had a direct effect on property and violent crime rates. Importantly, the researchers also noted that the most resource-deprived, or poorest, counties experienced the most crime as a potential result of lead exposure. "Exposure to lead has both class and race correlates that operate at the sociological level. Lower class and minority communities are more likely than other income or race groups to have elevated probabilities of lead exposure. Though race and class linked lead exposure patterns are not in themselves sufficient to explain difference in the level of crime found across race and class groupings, these exposure patterns are consistent with criminological findings and may partially explain these differences. Further examination of this issue is required to clarify this relationship." We don’t know exactly how lead exposure potentially moderates criminal activity. Nevertheless, researchers have their hypotheses. First, lead exposure can lead to reduced impulse control and impact aggressive tendencies. People who are more impulsive and aggressive could then go on to commit a crime. Second, increased lead levels in blood during childhood have been linked to reduced brain volume during adulthood. These effects are seen in the prefrontal and anterior cingulate cortices—parts of the brain that control executive function, mood, and decision-making. These effects on brain structure and brain function could somehow conflate and play a role in the later criminal activity. Third, the “neurotoxicity hypothesis” posits that lead exposure interferes with neurotransmitter and hormones in a way that contributes to aggressive and violent behaviors. On a final note, more study is needed before declaring lead a true cause for crime. 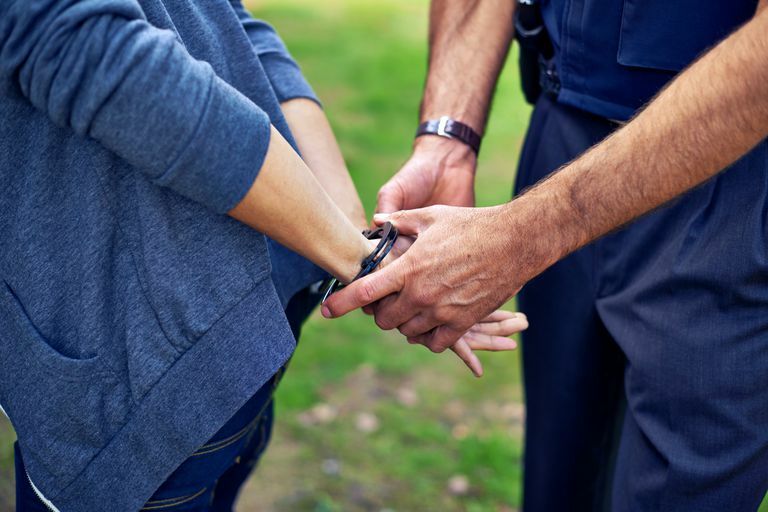 Nonetheless, sociologists, criminologists, and policymakers can use these studies to further their understanding of the relationship between crime and lead. Feigenbaum, JJ, Muller, C. Lead Exposure and Violent Crime in the Early Twentieth. Century. Explorations in Economic History. 2016; 62: 51–86. Heavy Metals. In: Trevor AJ, Katzung BG, Kruidering-Hall M. eds. Katzung & Trevor's Pharmacology: Examination & Board Review, 11e New York, NY. Marcus, DK, Fulton, JJ, Clarke, EJ. Lead and Conduct Problems: A Meta-Analysis. Journal of Clinical Child & Adolescent Psychology. 2010; 39: 234–241. Stretesky, PB, Lynch, MJ. The Relationship Between Lead and Crime. Journal of Health and Social Behavior. 2004; 45: 214–229. Taylor, MP, et al. The Relationship Between Atmospheric Lead Emissions and Aggressive Crime: An Ecological Study. Environmental Health. 2016; 15:23.